Do you quietly chuckle with your hand over your mouth, or groan, or giggle or let out chandelier-rattling howls? What messages have you received about your laughter or sense of humor? Come learn why humor really is the best medicine of all and the shortest distance between two people. 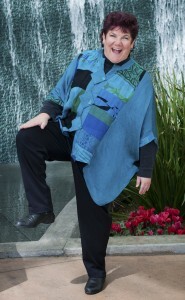 With Linda “Rainbow” Levine, you’ll learn to take your health seriously and yourself lightly!